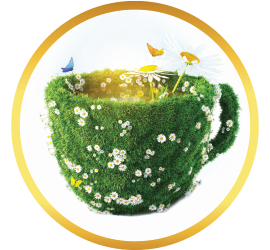 Mild and versatile, our Flaxseed Tea provides a subtle yet enjoyable herbal brew, richly steeped in historical relevance. Evidence found from 30,000 years ago tells a story of the people from what today is known as the Republic of Georgia spinning, dyeing, and knotting flax fibers (linen to us) to use as textile. That’s a heck of a long time ago, isn’t it? 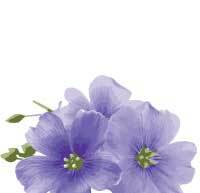 In fact, not only did the ancient Egyptians paint images of the flowering flax plant on their temple walls, but mummies have been found entombed in linen, lending more evidence that this remarkable plant has been around possibly, well, forever. Because flax was considered a representation of purity, Egyptian priests only wore linen. Here’s a thought: If we consume enough Flaxseed Tea will our sins be flushed away? Remarkably versatile, the flax plant has played a prominent role in more than one arena. In the art world, flaxseed oil is known as linseed oil, and used as a drying medium, as well as a carrier oil to help oil paint go on smoothly and provide a nice sheen. 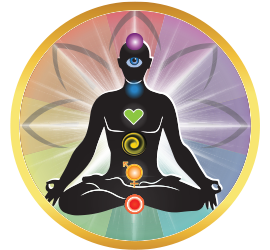 Both the yellow and brown varieties of flaxseed are consumed for nutritional reasons, as well as used to produce various products. Flaxseed’s rich history illustrates how incredible nature really is, by showing us that the earliest humans had a natural inclination towards conservation; not a single part of the plant was wasted. 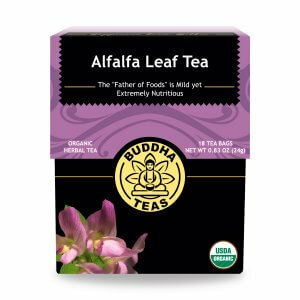 What Does Buddha Teas Flaxseed Tea Taste Like? The good news is, Buddha Teas Flaxseed Tea tastes quite mild. Thus, this is a great tea to experiment with mixing. 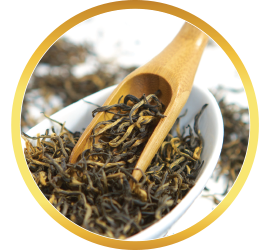 For example, adding a bag of Buddha Teas Ginger Tea would present you with a warming, spicy cup of tea that delivers the nutritional power of flaxseeds as well. Steep at a true boil, and allow the tea bag to remain in your cup. You’ll be surprised at the versatility of our Flaxseed Tea, which may nudge you to try adding another flavor while steeping, such as the above mentioned Ginger Tea. If you enjoy a sweet tea, try including the sweetener of your choice. Some drinkers enjoy the addition of cinnamon or lemon as well. 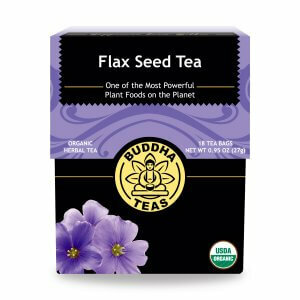 Buddha Teas Flaxseed Tea is a super tea to drink cold, so we suggest making a large batch and storing it in a glass jar in the refrigerator for up to 48 hours. Too mild for me, but good day tea. Good For Benefit. 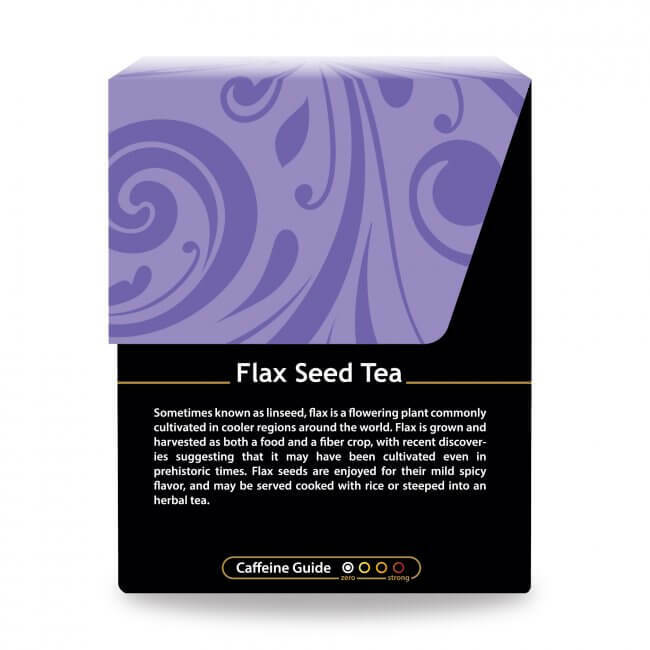 Flax tea is so light and delicate. . I love the gentle flavor of this tea. I also love the benefit of drinking flax on the regular. Buddha teas are superior teas and I won't buy tea from the grocery again after experiencing these teas. 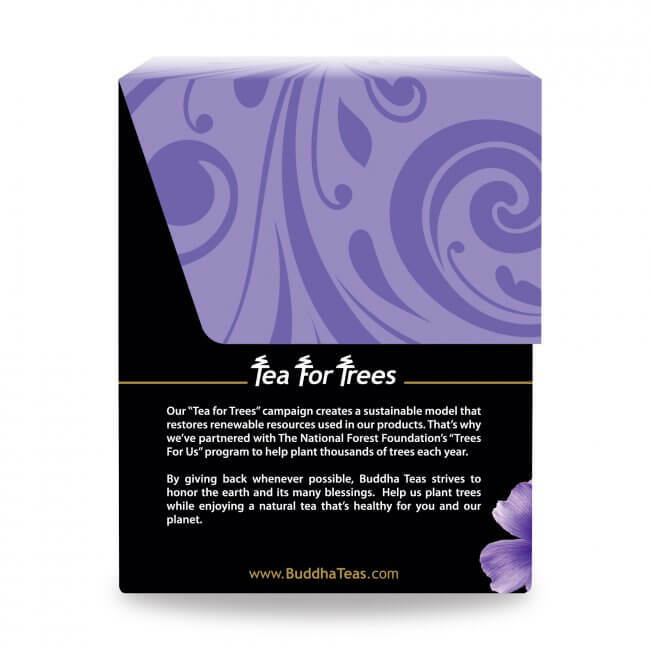 Review Title: ALL BUDDHA TEAS. I am slowly going off coffee and am beginning to embrace teabags!! well, at 69, what else wouldyou expect? However, as seeds are supposed to be healthy if ingested, i am just wondering if i could swallow the seeds in this tea? So far, Flax Seed Tea has been my favorite. It is mild but flavorful and very soothing. I've been ordering teas from Budda Teas for a few months now and have liked all their teas. 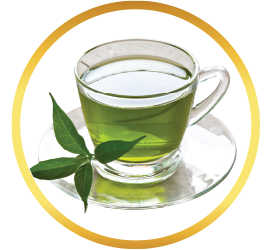 The web site is very user friendly and very easy to search different teas. 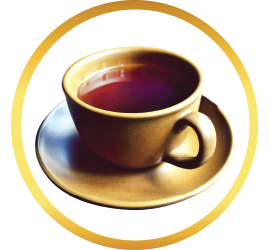 I truly enjoy all kinds of teas, but was hesitant to try a flaxseed tea. Luckily for me the first I tried was Buddha Flaxseed Tea!! I was left enchanted with the smooth flavor and nutty taste, which was not overwhelming, it was just right!! I was pleasantly surprised by the taste. I was switching over from using actual seeds because trying to deal w / the "slime " was becoming a hassle. I was expecting it to taste a bit different (I really had no idea of what to expect) but the fact that it tasted better (a tad less nutty to me) was a pleasant relief since I am not always a huge fan of strong tastes. 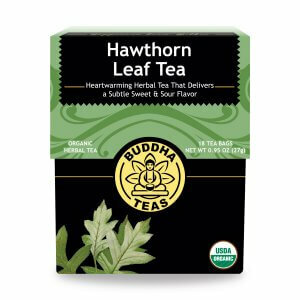 I like some strong teas but sometimes I need something very mild and the health benefits are just an added perk. 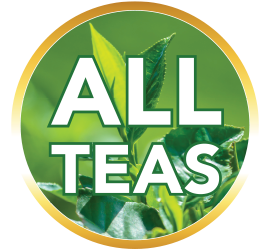 Thank you for making such and amazing AND affordable tea. I was very pleased to find Flax Seed Tea as I just couldn't eat the Flax seed meal. This tea is a breath of fresh air. So happy to have discovered it. I was so pleased to have found a flaxseed tea. The ground meal was awful to eat., so finding it in a tea was fantastic! I drink it daily. 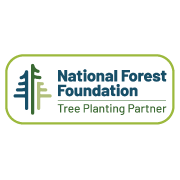 I found the website easy to read and use. The delivery was extremely quick especially as I live in Australia. The box that the tea bags come in, is lovely and well made. I also liked the idea that the tea bags are bleach free. Not to mention all the care and awareness taken to protect our environment. Everything was brilliant. 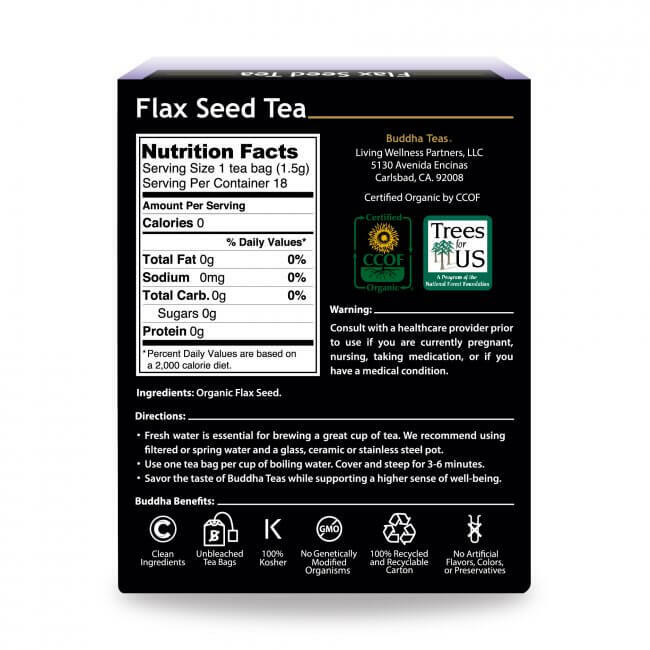 Love the benefits from flaxseed and now love that I can drink it! 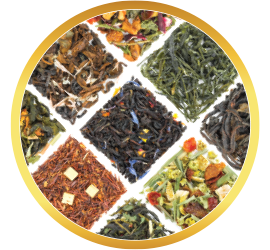 I have tried several of the teas, and I am very pleased with all of them. 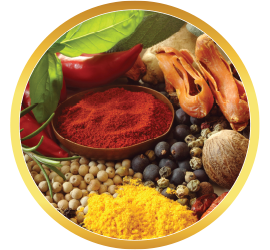 Such as Dandelion Root tea, Turmermic Ginger tea, Rooibos tea, Gunpowder tea and others.